Vodafone Ghana says it is not averse to listing on the Ghana Stock Exchange (GSE) for Ghanaians to benefit from the fortunes of the company but it is under no obligation to do so. This was in response to a call by the CEO of GSE, Kofi Yamoah that government should compel Vodafone to list on the bourse after acquiring the 2x5MHz lot in the 800MHz spectrum band for 4G recently. Kofi Yamoah also recalled that when Ghana Telecom was sold to Vodafone in 2008, part of the conditions was that Vodafone will list on the GSE for Ghanaians to benefit from its fortunes, but till date that has not happened. He believes the acquisition of the 4G license, which requires Vodafone to offload 25 per cent shares to Ghanaians, sets the tone for government to now compel Vodafone to do what they should have done years back. But in a rebuttal, Vodafone said whereas it had no aversion to listing on the bourse for Ghanaians to share in the company’s fortunes, the licensing conditions for the 800MHz spectrum it acquired recently, does not obligate the company to list on the GSE. “The 4G LTE licensing conditions DO NOT mandate licensees to launch an IPO (initial public offer) on the GSE and nowhere in the bid documents or the license condition is a reference even made to a listing,” they said. 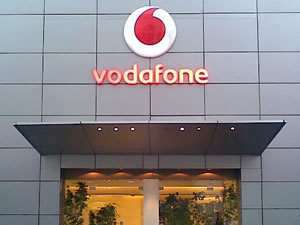 Vodafone again noted that whereas the licensing conditions required licensees to ensure 25 per cent Ghanaian ownership, that does not apply to Vodafone because 30 per cent of the company is already owned by Ghana government. “This said, Vodafone places on record that it has no aversion to the listing, or for accommodating local participation in the company’s fortunes…” it said. Indeed, regarding commitment to local partnership, the immediate past Vodafone Ghana CEO, Yolanda Cuba recently told journalists Vodafone was weighing a number of local partnership options, particularly in the 4G space. Meanwhile, the market leader, MTN has been allowed to strike a deal with another BWA, Goldkey Telecoms following which MTN now owns Godkey’s 2x15MHz spectrum lot in the 2600MHz, on the back of which it recently launched its 4G+ network. An industry expert, pleading anonymity, has said NCA allowing a deal between MTN and Goldkey but halting that of Vodafone and Surfline is discriminatory and also defeats NCA’s own bid to create a level playing field in the 4G space. He believes it is time for NCA to go all out and allow other telcos to partner with the local BWA’s to ensure value for all stakeholders – the telcos, BWA’s, government and consumers.